In her book ‘The Porridge Quarrel – Ecology and Gender in the History of Food Cultures’ Elisabeth Meyer-Renschhhausen describes a number of emancipatory movements which have shaped the way we eat and serve food collectively. From the shift of eating warm porridge to white bread, French post-revolutionary dinner tables, vegetarianism at the end of the 19th century and a social history of public houses. Read a text by Elisabeth Meyer-Renschhausen on Vegeterianism here. 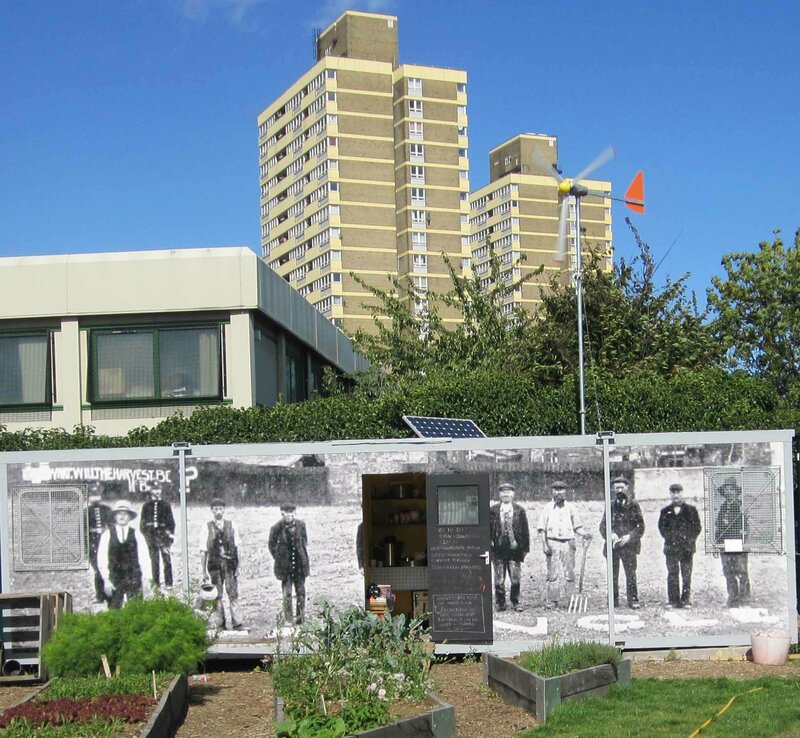 “What Will the Harvest Be” is a community harvest garden built on a formerly derelict site at Abbey Gardens in Newham. The influences behind the project relate back to the original Cistercian Abbey where monks used the land as a site of great productivity.The intriguing ‘Plaistow Landgrabbers’ also inspired the artists and provided the project title. Elisabeth and Nina are going to informally talk about these different movements and relate them to current community garden initiatives and politics. Elisabeth Meyer-Renschausen is a Berlin based social historian and garden activist. Her research and writing includes gender studies with a focus on rural women and small holdings, food histories related to social and emancipatory movements, peasant movements and globalised agriculture. She is currently involved in the “Allmende-Kontor” an urban gardening and networking project in Berlin. Nina Pope together with Karen Guthrie are the artist/film-maker group Somewhere, who initiate and produce collaborative, multi-disciplinary art and film projects. Following the initiative by the “Friends of Abbey Gardens” , to make the derelict site open for public use, “Somewhere’ as the invited artits team proposed a public-access ‘harvest garden’ of fruit, flowers and vegetables that literally anyone can use. The garden was launched in 2009 and is now run by the “Friends of Abbey Gardens”.